Introduction: I make no claim to originality in this article. It has been condensed from, and parts of it have been directly ‘lifted’ from other articles and videos by and about Peterson over the last few weeks. I made notes as I read so as to help to shape my ideas, which were not intended for publication, so I did not collect the citations and references as to where these ideas and quotations come from, and I have not checked out every source. These are almost all other people’s ideas, although some interpretation is mine where I have tried to synthesise and condense the material. Facebook was not the best medium for my reply, as I wanted to set out some background and definitions before answering the specific points raised by Simon Kirkwood and Nicola Snell. The Peterson phenomenon has engaged my attention only very recently (June 2018), and I have been looking at it for several weeks only. Although I have spent some time listening to his lectures and following the commentaries, this summary is my first attempt at disentangling the underlying importance of what he says from his ‘throwaway’ provocative remarks, and from the deluge of misrepresentation which seems to follow him. His recent speech at the Oxford Union (24 June 2018) gives a fairly typical introduction to the territory, his concerns, and his style of debate. Professor Jordan Peterson has been hailed as a hero and intellectual giant, and condemned as a lying charlatan. As might be expected, the condemnation tends to come from his targets in academia and the far left, and there are some good arguments suggesting that he is completely wrong in some of his conclusions on some of his topics. It appears that the approval comes from a spectrum of political views. There is however a consensus that he is a polarising figure, and mentioning his name can divide a room. I found it hard to ignore him, so this text is my attempt at coming to terms with my sympathy for some of his more controversial arguments. Peterson is a child of the internet, in his celebrity, although not in the development of his opinions, which come from clinical practice and academic study. The polarising effect of his views is most evident in comment that follows any online publication, and I anticipate taking some heat for even publishing this summary. Believing in free speech does not make me racist, or Fascist, but I admit to having difficulty knowing where to draw the line regarding prohibition of hate speech. I suggest that anyone who disagrees with the content in this article might give an alternative view, rather than simply writing it off as alt-Right or Fascist, which would simply provide further evidence that Peterson has a point. It was the consistency and frequency of the widespread misrepresentation that made me realise that he had touched a nerve somewhere, and I wanted to find out how, and why, he had done that. We live in an era of ‘post-truth’, defined by the Oxford Dictionary as “circumstances in which objective facts are less influential in shaping public opinion than appeals to emotion and personal belief.” As I will show, Peterson uses emotional appeal as well as empirical evidence, and my text is an attempt to get at the truth of the matter while standing on the middle ground. My politics until now has been agnostic/hippie/anarchist/liberal/centrist with strong environmentalist leanings and some activist history, so Peterson challenges a large part of my world view. I have still not made up my mind about JP, but have set out here my summary of what I think he is actually saying, rather than what people think he is saying. I have not reached many conclusions. Right or wrong, Peterson is not going away, and I would rather debate his view than simply dismiss him because he rocks the boat. I concentrate on his political and cultural arguments, and so I must define a few terms, because they are interpreted in different ways by different people. I am not an academic, or a philosopher, although I have various academic degrees and so I am familiar with some of the terminology. These definitions are my own understanding of the terms as used by Peterson. The definitions are simplified, but I will be happy to debate them and expand on detail if asked. Neo-Marxism: An ideology which develops the ‘old’ Marxist idea that human history has been a continuous struggle for power between classes, in which the working class (the majority) has fought to assert itself against an oppressive hierarchical capitalist structure. ‘Old’ Marxism was replaced in part because old-Marxist ideas (of class struggle and the dominance of the group over the individual) collapsed as a mainstream political creed after they were put into practice in Soviet Russia, China and Cambodia, where hundreds of millions of dissidents were murdered by the state. Post-Modernism: An ideology which rejected the prevailing empirical, objective, logical, positivist philosophy of the Enlightenment, and replaced it with Relativism, or the idea that there is no universal, objective truth, but that any point of view has its own truth. From this it follows that categories cannot be absolute, but all categories are social constructs. (For example, self, identity, gender, race nations and money.) The relativist philosophy derived from Foucault and Derrida, who held that because language can be interpreted in many different ways, so there can be no absolute values. JBP argues that post-modernist relativist philosophy has been booming in the social sciences since the 1980s and is now the dominant theory underlying further education. Relativism dominates anthropology and cultural studies, and has advocates in political theory, political science, sociology, and philosophy. This doctrine focuses on power, and on group identity. Groups are usually defined as either oppressive or oppressed. Group guilt incriminates all members of the group. All power structures are indefensible, since virtually all power structures can be cast as oppressive, and justifying oppression is forbidden. There are no moral or scientific (e.g. biological) absolutes, only social constructs. When there are no absolutes, and therefore no discrimination based on value, everything can be portrayed as of equal value. Moral relativism leads to totalitarianism, and to mass slaughter in pursuit of ideological objectives. The widespread adoption in academia of ‘Critical Theory,’ oriented toward critiquing and changing society, in contrast to traditional theory which is oriented only to understanding or explaining it. Academic career paths depend on compliance with the new academic orthodoxy, so academia and society is now filled with managers who put this doctrine into practice. Students therefore have only one method of inquiry: to criticise power structures and social structures with the intent of dismantling them, because all hierarchies are oppressive. Peterson’s core argument centres on the evidence of the dismantling of free speech and the rights of the individual, in favour of defining and protecting groups. In post-modern ideology, criticism of the limitations on free speech is cast as a membership of the oppressor group, and arguments in favour of free speech are equated with racism, homophobia etc. Peterson is not arguing that there is a coherent plan or a conspiracy to undermine Western values, in fact he goes to some trouble to dismantle the alt-right flirting with the ‘Jewish Conspiracy,’ although he does allude to a ‘cabal.’ He argues that the limitation on free speech is the incremental outcome of an ideology that has become a cult because no-one dare question it, particularly if they want a career. The evidence for his argument does not centre on identifying individual professors who teach that ideology, although they tend to identify themselves when they denounce him. His argument is based on the evidence of specific cases where free speech has been forbidden, or where empirical evidence contradicting the politically correct line is ignored or dismissed, and he traces the origin of these cases back to the prevailing ideology in the universities. The following list is a summary of some of those cases which he cites in evidence. Many of these cases are complex, nuanced and with grey areas, but the detail can be found easily enough by Googling the bold type headings. (Add Jordan Peterson to search terms.) My interest is as much in the extreme reactions for and against Peterson that these cases have provoked as it is in the final right and wrong of each case. I am doubtful about some of his assertions, and I can see the logic in others, particularly where he has numbers to back them up. Wilfred Laurier University incident. Lindsay Shepherd, a teaching assistant who showed her class a video clip of Peterson talking about gender pronouns, was disciplined by the University. JPB was compared to Hitler, and Shepherd’s career was completely stalled. The University later apologised, but both she and JPB are now taking legal action against the University. YouTube lock-out. His channel, which at the time he had 350,000 subscribers. (now 1.2 million) was suspended. There was debate about whether this lock out was, or was not, a politically motivated crackdown on conservative channels, and he was re-instated. No-Platforming: Peterson’s opponents attempted to ban him from speaking, because “allowing free speech puts the health and well-being of trans and gender non-binary students and faculty at risk.” No platforming has other examples in the UK. Radical feminists and TERFS were denied platform at Bristol University, Germaine Greer denied a platform at Cardiff University, Peter Tatchell was no-platformed and accused of helping to incite violence against transgender people when he signed an open letter against no-platforming. As JBP states: progress requires debate. Free Speech: University of Toronto students confirmed that they are afraid to speak or to engage in debate in class. “Today I had a tutorial at the University of Toronto where I talked about Jordan Peterson and issues of personal identity, legally sanctioned categories etc…still students were not engaging in discussion. I asked them why. One said it was because she was worried to share her opinion for fear of being singled out or saying something offensive. I asked who else was not speaking for that reason. The whole class put their hands up.” The writer claimed that this was commonplace. Caveats, qualifications, and replies to specific issues. I accept that this confidence in his instincts for what is right sits very uneasily with his reputation as a rational scientist who relies on evidence. I believe that it weakens his good empirical arguments when he makes them. I believe that he can be justifiably criticised for these lapses and I could not defend them. 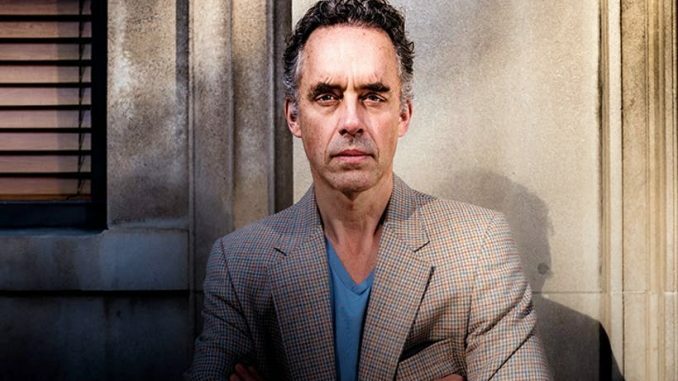 I do however recognise that they can be very powerful, and his instinctive, semi-religious utterances can convince people who do not follow his intellectual arguments – they are part of the Peterson phenomenon. I see him as much a religious figure as a social-scientist. Nicola: Quotas and equality of outcome: I accept that quotas can redress the balance of power for oppressed minorities, but Peterson’s underlying point is that equality of outcome is not possible. We are all individuals, and the state cannot address every aspect of every individual’s oppression and victimhood. Quotas, regardless of merit, imposed by the state or by an ideology, do not solve the problem. You raise the point about Travellers for example. Lack of representation of senior Gypsy and Traveller people in Gorgio social structures has been due to many factors besides racism. It is primarily due to illiteracy, (due to voluntary lack of education, as parents take children out of school at 11 years,) voluntary exclusion from mixing with Gorgios, voluntary anonymity on the Electoral register, all these have played a part in exclusion of Gypsies and Travellers. You could argue with some justification that racism may lie at the root of all these handicaps, but quotas would not address any of the issues involved. Nicola: Non-recognition of social justice and progressive movements. He has spoken very clearly about the negative effects of income inequality on mental and physical health, homicide and other crime, literacy, obesity, creativity, social mobility and infant mortality. He outlines very clearly and in detail the hopelessness and intense stress that results from poverty and low status, and which produces these effects. He points out the clear relationship between poverty and depression, obesity, cancer, and the psychological causes and effects of these high stress-conditions. The stress produced by living in an unequal society is so overwhelming that even people at the top of the dominance hierarchy have shortened life expectancy. He has broadcast on the subject of the necessary eradication of absolute poverty, and the mitigation of relative poverty, by wealth re-distribution. He asserts that the stability and safety and opportunity in our communities is of major importance, and should be taken into account when measuring ‘wealth.’ Peterson has consistently argued that part of the value that people on the Left bring to society, especially creative people with high openness to experience, is that they are able to challenge existing structures and improve them. He argues that the primary function of the state is to ensure that the rules of society are inclusive, fair, and proper so that everyone can ‘play the game’ and no-one is disenfranchised. It is mis-characterisation to say that he is ignorant or careless of those who suffer in poverty or oppression. It is his business to address those issues, and he has done so in detail. Simon Kirkwood. Anti-Progressive. As I said in my Facebook reply, I do not believe that Peterson’s broad argument lumps together all progressive ideologies, although the thumbnail video you posted does him no favours in this respect. He clearly believes in progress through debate, and has beliefs and values that are clearly classically liberal progressive – separation of church and state, equality of opportunity, gun control, for example. He thinks abortion should be legal, but should be avoided if possible. He warned against a vengeful response to 9/11 as risking a ‘cycle of terror.’ He affirms that men and women are essentially the same, with some differences in temperament, but they have equal intelligence and should have equal opportunity. He has no proclivities for or against LGBTQ+ people. I would describe him as a left-leaning centrist, with some traditional values. You are correct that he does have a prejudice against radical political movements, which he studied over a long period, but he opposes authoritarian elements of both the left and the right, which seek to control speech, belief and behaviour. So, when he heard about compelled speech, it really didn’t matter who was compelling him, he resisted, because resisting totalitarianism was his life’s work and interest. He has repeatedly stated that he has no problem with people choosing their own pronouns, and out of personal respect he would use them. His objection was to the state forcing him to do so. His conflict with the authoritarian left has been more prevalent because he is in a local context, academia, that is very left-leaning. His critique of ‘social-justice warriors’ has been based more on his study of the relationship between personality and political belief. It focuses on the authoritianism of their form of political correctness, rather than denying the injustices they seek to correct. As one commentator said: “Basically Dr. Peterson is fighting for freedom of expression without limits and resisting the establishment of a violent, holy and righteous thought police with force of law. That’s about as Left Wing as you can get. He is angry at the Left who are supposed to create a haven for open-minded thinkers, and who are instead shutting down open dialog at that extreme a level (legislating compelled speech”. Footnote 1. Wisdom, a poem. I believe this poem is a key to understanding many of Peterson’s pronouncements. I believe this is his motivation and provides an intuitive but coherent sequence which he follows in developing his arguments. This poem explins why and how free speech and telling the truth is at the critical centre of his thought, and is not merely aspects of a ‘self-help formula’ as characterised by some critics. This poem is why I excuse some of his throwaway, unscientific and unsupported comments, – like a shaman, he ‘knows’ them to be true although he does not know why, and he is motivated by love in order to put an end to suffering. Wisdom, a poem by Jordan Peterson. Love is the desire to see unnecessary suffering ameliorated. Truth is the handmaiden of love. Dialogue is the pathway to truth. Humility is recognition of personal insufficiency and the willingness to learn. To learn is to die voluntarily and be born again, in great ways and small. So speech must be untrammelled, so that dialogue can take place. So that we can all humbly learn. So that truth can serve love. So that suffering can be ameliorated.So that we can all stumble forward to the Kingdom of God. Peterson’s experience as a clinical psychologist exposed him to extremes of human suffering- broken lives, suicides, addictions, psychosis, and depression. From that, in part, he derives his starting point that all life is suffering. Peterson feels compelled to warn people, at some risk to himself, of impending disaster. This conviction gives him the confidence and power of an old-time preacher, and I believe supports the suggestion that Peterson’s power is that of the Shaman. Footnote 2. – Personal Bias. I am an aged white male, married to the same person for several decades, highly educated, generally successful in some aspects of business, and so comfortably off. Highly privileged, in other words. (I guess most people reading this are the same, but who knows?) I do not believe that my privilege invalidates my opinions, although it certainly colours them, but readers must decide that for themselves. Since Donald Trump was elected – which I correctly predicted the day he announced his candidacy – I have taken a lot more interest in politics. I detested Trump from the start for his blatant lies, and since then I have come to detest him further, for a lot more reasons. My interest in American politics led me to Peterson’s analysis of the cultural hegemony of the Universities, which immediately attracted my interest because it chimes exactly with my own experience of British academia. I accept that I am therefore very biased toward Peterson’s analysis, so my views on Peterson are based partly on my anecdotal evidence of post-modernist ideology in action. I have set out the detail of my own 30-year struggle with academic orthodoxy in a separate Blog entry, so that my bias can be seen in this context, although the direct relevance to Peterson is tenuous. It is a fairly specialist topic, and concerns a three-way stich up between Marxist post-modernist academics, the BBC programmers, and the classical music publishers.